These four teams won’t have to battle through the grueling open bracket. Four more teams secured their spots in pool play for the inaugural Black Ops 4 LAN event in the new Call of Duty World League season. Str8 Rippin, Pittsburgh Knights, UYU, and Mindfreak all earned a place in pool play at CWL Las Vegas on Thursday. They played through the eight-team play-in qualifier—teams that won two best-of-five series before losing two earned a spot in pool play for this weekend’s $250,000 tournament. Str8 Rippin—Michael “SpaceLy” Schmale, Chance “Maux” Moncivaez, Michael “MajorManiak” Szymaniak, Jared “Nagafen” Harrell, and Colt “Havok” McLendon—were the first team to qualify for pool play on Thursday. They swept Mindfreak before beating UYU 3-2 in an intense series that went all the way down to a game five, round 11. Pittsburgh Knights were the second team to earn a spot in pool play. Christopher “Parasite” Duarte, Adam “GodRx” Brown, Andres Lacefield, Casey “Pandur” Romano, and Dylan “Theory” McGee took down Team Divine in a surprisingly-close series and beat Tainted Minds 3-1. After falling to Str8 Rippin earlier in the night, UYU defeated Team Divine to secure a place in pool play. Tristan “Spoof” Green, Mehran “Mayhem” Anjomshoa, Dakota “Nova” Williams, Nicholas “Proto” Maldonado, and Cesar “Skyz” Bueno dominated both Hardpoints in the series to pick up the 3-1 victory. The last pool play spot from this play-in tournament came down to an all-Australian battle between Mindfreak and Tainted Minds. And Mindfreak—Mitchell “BuZZO” Mader, Cody “Excite” Rugolo, Lincoln “Fighta” Ferguson, Luke “Louqa” Rigas, and Conrad “Shockz” Rymarek—swept Tainted Minds to join the group stage at CWL Las Vegas. These four teams will avoid one of the largest open brackets in Call of Duty history by qualifying for pool play at CWL Las Vegas. Mindfreak, UYU, Str8 Rippin, and Pittsburgh Knights will be placed into Pool A, B, C, and D, respectively. 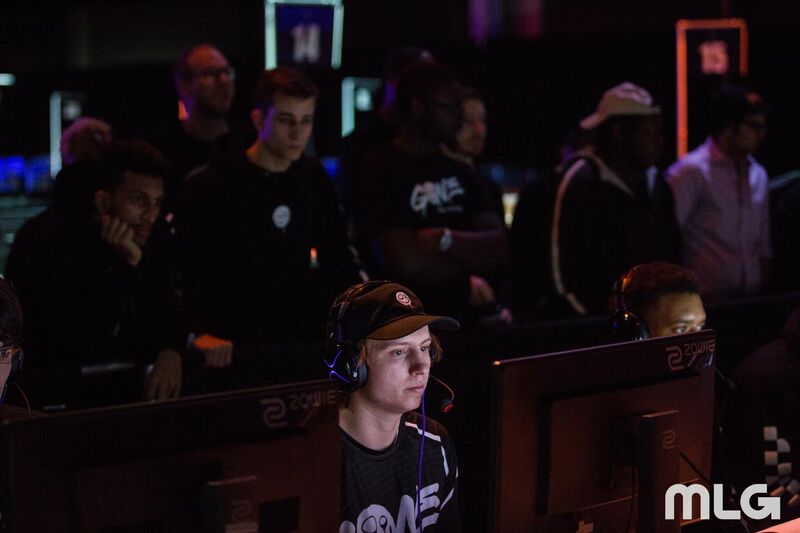 The Imperial, Gone Gaming, Team Divine, and Tainted Minds, aren’t eliminated from CWL Las Vegas—but they’ll have to battle through the open bracket to get another shot at earning a pool play spot. CWL Las Vegas pool play action will officially begin tomorrow, Dec. 7 at 4pm CT.